Olivia will be a senior at Lowell High School beginning this week! 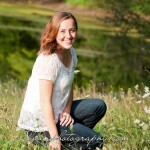 Here are some of the photographs from her recent senior photo session in the Ludington and Mason County area. We are very blessed that seniors will travel long distances to have us create these cherished memories.